Women's version, really lives up to the hype. Definitely worth the money. Merino wool keeps sheep warm in winter and cool in summer. Period. It will do the same for you. Once you go wool you're never going back to synthetic for base layer comfort. I always smelled like a barn animal after hiking and camping in a synthetic base layer. No problem anymore. 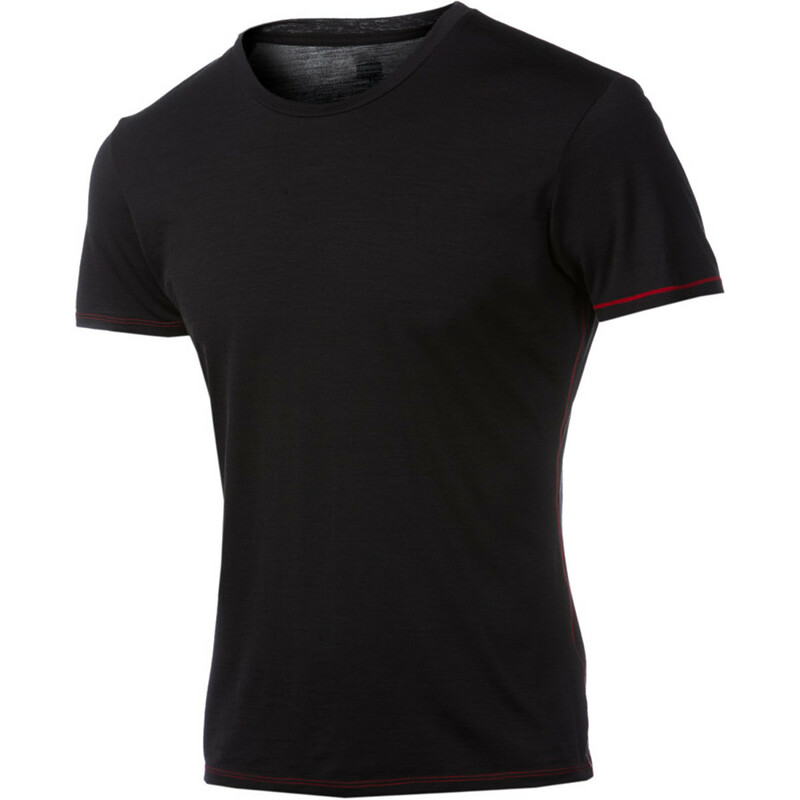 Not only does the merino shirt do better it actually inhibits bacterial growth, the difference is overwhelming. This material is not the scratchy old wool I remember from childhood. It's spun or processed into a super soft, natural, next to skin feeling. Winter or summer my first choice is merino wool. Other brands to look for are Stoic, Ibex, and of course Smartwool. I scour the outdoor internet retailers for clearance to get the best deals. You don't get the all encompassing color/size choices but keep looking, especially in summer, and find super discounts. Unless you're allergic give this a try and you'll be glad. The small extra expense is worth it! Perfect thin but effective layering top. 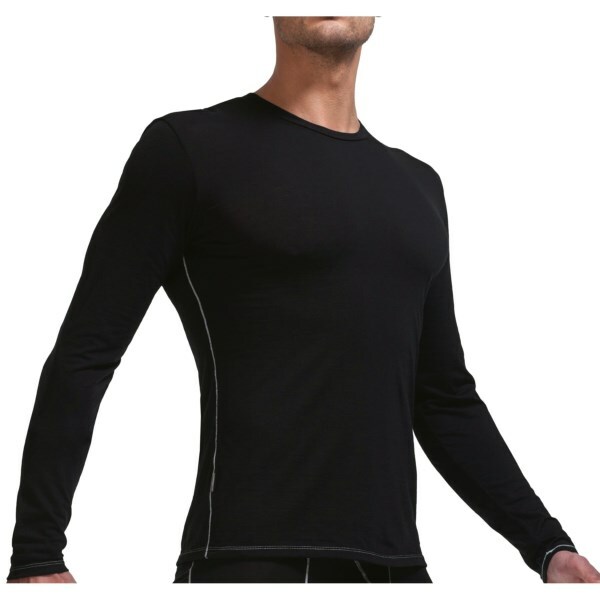 I read many reviews of Icebreaker's BodyFit line suggesting that it would be very snug and form-fitting. This has not been my experience. 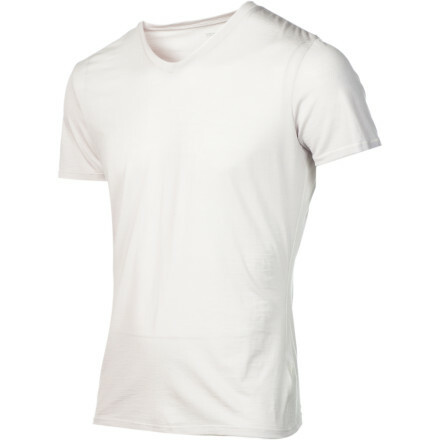 I have slim and long arms and torso (35.5 inches around the chest), and hoped to be able to wear this top comfortably underneath cotton t-shirts or my various vintage wool cycling jerseys. The size medium top fits me loosely enough that it has to be a mid-layer if I'm wearing a form-fitting short-sleeved top as well, but that hasn't detracted from its functionality and comfort. Like all my wool clothing, I can wear it for many days of intense sweating without having to wash or change it. I'm sure some people's bodies put out noxious odors no matter what they wear, but so far I've been wearing this top about a dozen times without washing it and without any noticeable odor. It's great when the nights get cool, either against the skin on its own, under a sweater or hoodie, or over a short-sleeved shirt. The 150-level is definitely not designed to be a thick, super warm top for cold weather, but that makes it perfect for climates and trips where the temperature changes drastically throughout the day. 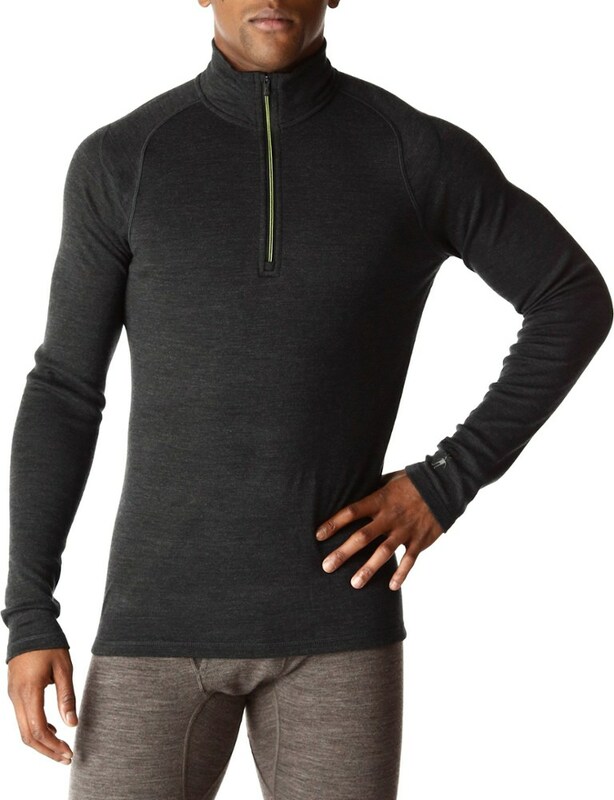 I wore it last week on a bike tour in the mountains of Colorado and it felt great day and night, and no matter how hard I rode in it during the day, it was dry and cozy by the time I set up camp and slipped into my sleeping bag with the IceBreaker BodyFit 150 Crew top as my only upper layer. I always hang dry mine. 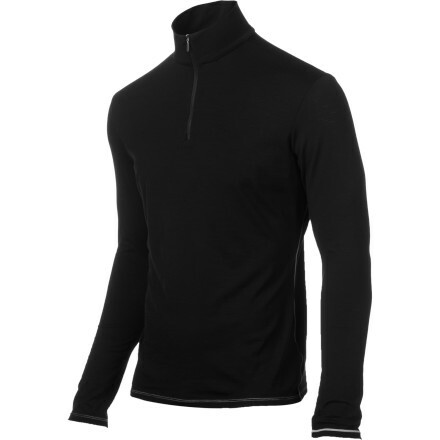 It will keep you reasonably warm when it's wet or dry and I love to switch into it when I soaked a different undershirt on the hike up. 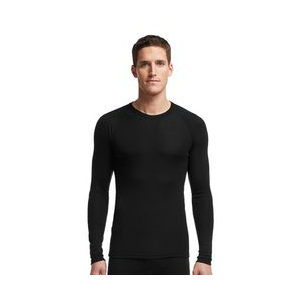 Fits really nice, breathable, and very good construction. 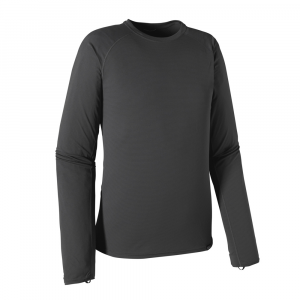 The Icebreaker Bodyfit 150 Long Sleeve Crewe is not available from the stores we monitor. It was last seen May 9, 2015	at Sierra.